Raymond Weil has revealed the latest addition to its Maestro collection - the Skeleton. The Maestro Skeleton is aptly named too, as the mechanical manoeuvres of its Swiss Made movement are laid bare for all to see, with a wide aperture on the 39.5 mm diameter dial allowing intimate access to the self-winding inwards. Indeed, if you want to see and display the internals of your watch then the Skeleton certainly doesn't disappoint, with its aperture showing off the balance wheel and open-worked spring barrel, as well as brace of sapphire crystal glasses, which seal the movement. The Maestro Skeleton's case is made from stainless steel, while the dial display includes blued steel hours, minutes and central sweep seconds hands. Power reserve rests at 38 hours, while water resistance sits at up to 50 meters. Finally, the Skeleton can be paired with either a stainless steel bracelet or genuine leather strap, the latter feature a double-push security clasp. 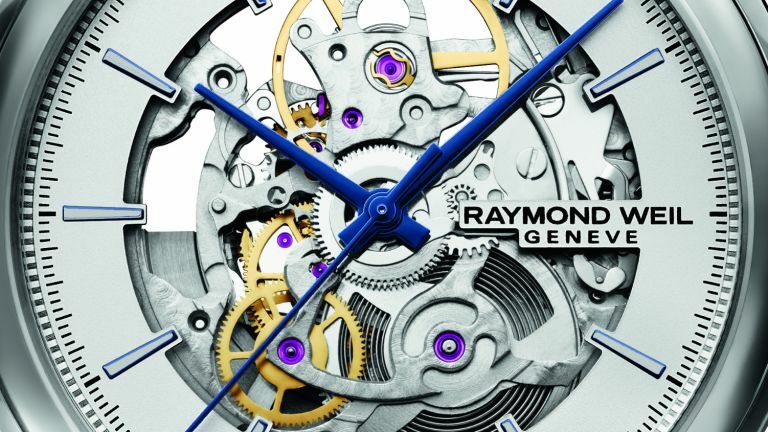 The Maestro Skeleton is available now from Raymond Weil's official website for the price of £1,595. Raymond Weil timepieces also feature in T3's best watches buying guide, and also its best watches under £1000 buying guide, so head on over there if you are currently in the market for a top timepiece.